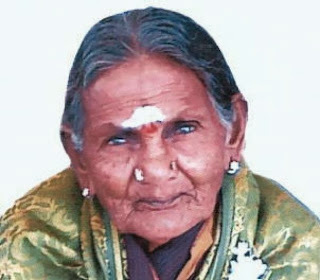 India-Andhra Pradesh-Ninety-two-year-old midwife Narasamma from Krishnapura village of Pavagada taluk has been chosen for a national award for carrying out 1,500 deliveries in remote areas. Announcing this at a press conference in Bangalore on Thursday, Minister of State for Women and Child Welfare Umashree said the award being given by the Union government on the International Day of Older Persons on October 1 in New Delhi carries a cash prize of Rs. 2.5 lakh. Despite being unlettered, Ms. Narasamma — popularly known as soolagitti (traditional midwife) — ''has made a huge contribution to the sector of women’s health by carrying out such a large number of deliveries among poor families in remote rural areas. She also provides neonatal care for about nine days''. Such is her popularity that there are instances when people from neighboring Andhra Pradesh have taken her to their villages for deliveries, she said.